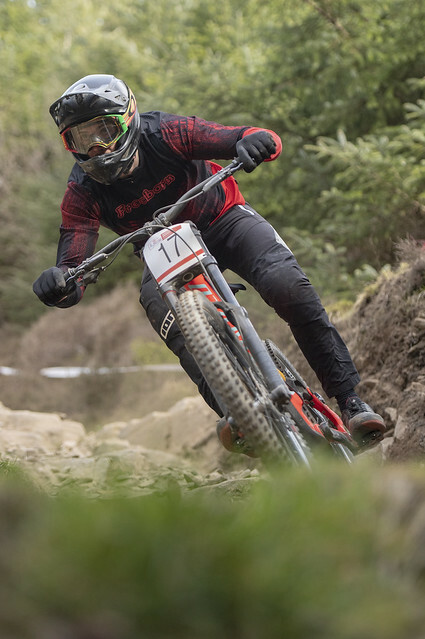 The HSBC UK | National Downhill Series got off to a scintillating start as Rachel Atherton and Matt Walker took victories in the elite categories in round 1 at Wales’ Rheola Forest. On a bitingly cold day, Atherton was once again peerless in the women’s event, recording a time of 3:12.568 to take victory by a margin of six seconds over Tahnee Seagrave. Katy Curd finished a further three seconds adrift in third. In a similarly impressive men’s field, Walker overhauled Danny Hart with the final run of the day to take the win, with Gee Atherton finishing in third. A total of 350 riders lined up to compete on the fast, technical course, with the junior categories also keeping the crowds entertained. There was little to separate the two leading contenders in the junior women’s competition, with Phoebe Gale overturning Tea Jensen’s advantage from the seeding run to record the fastest final run time and claim victory. Local knowledge paid off in the junior men’s category, as Luke Williamson – who had trained on the Rheola course over the winter months – recording the only sub-three-minute time to earn the win. Morgan Tyrrell was subsequently knocked down to second, with Declan Willicombe completing the podium in third.